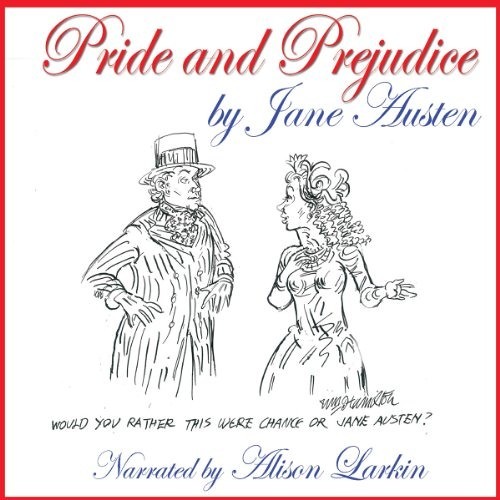 Pride and Prejudice by Jane Austen on Audible: http://www.audible.com/pd/Classics/Pride-and-Prejudice-the-200th-Anniversary-Audio-Edition-Audiobook/B00GB8IMKU?source_code=SCLGB908FWS110413 Get this audiobook free when you try Audible: www.audible.com/offers/30free?asin=B00GB8IMKU&source_code=SCLGB908FWS110413 Summary: Jane Austen's most famous novel, Pride and Prejudice, is brought to sparkling life in this new unabridged recording by AudioFile earphones award winning narrator Alison Larkin. A witty and always original voice, Alison Larkin is the perfect vessel to bring Jane Austen's classically saterial second novel to a new audience. This fresh and hugely entertaining listen from 'the English American' joined with Austen's deft satire, results in pure, boundless FUN. Love it! Jane Austen as she was meant to be heard! lol really geesh I wish 4 or 5 thousands was still alot of money....too bad soo sad.